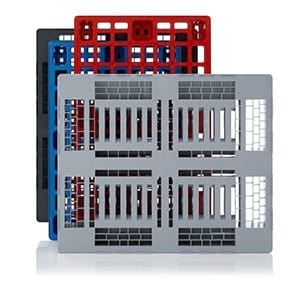 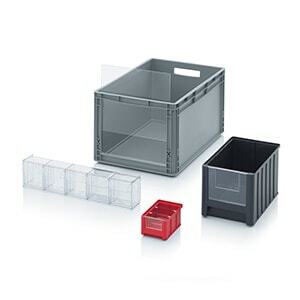 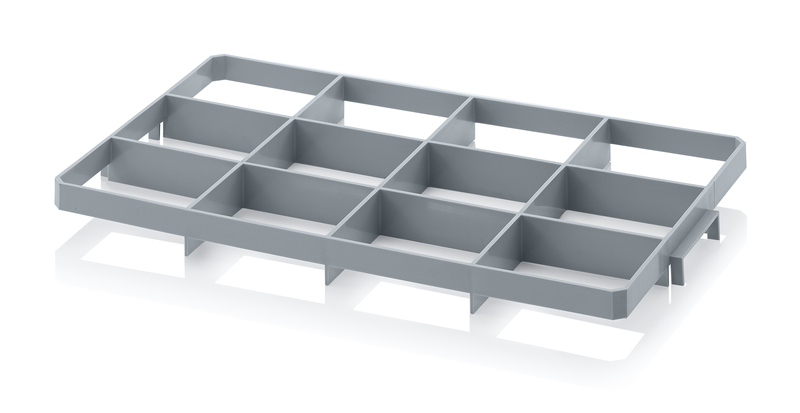 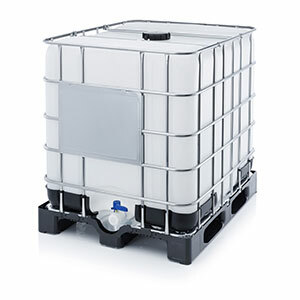 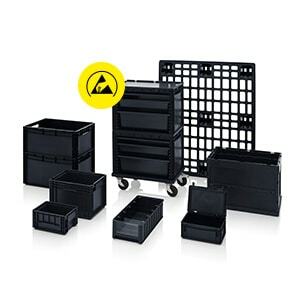 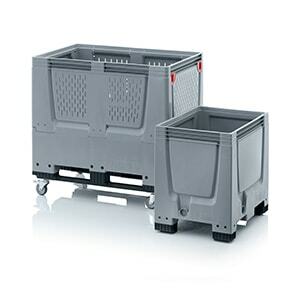 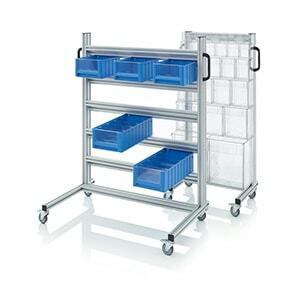 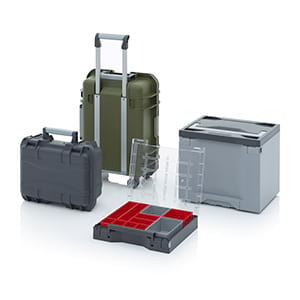 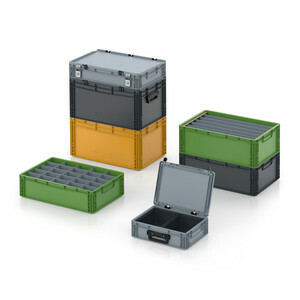 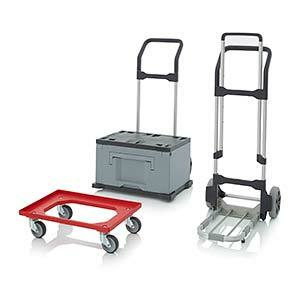 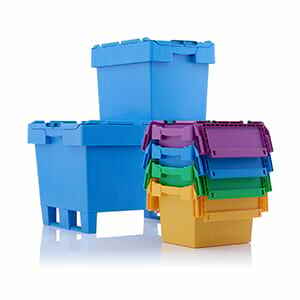 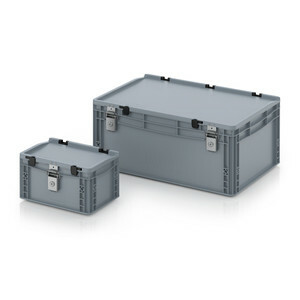 AUER Packaging's box insert for Euro containers brings order to the storage and transportation of glasses or components. 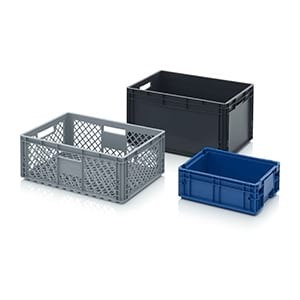 The "bottom" insert is laid directly into the container, while the "top" insert is placed onto the container using two bars on the front of it and then pressed firmly into the container's handle opening. 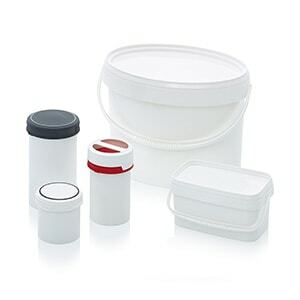 Note Only suitable for container with open hand grips.